If I recall correctly the first time I had ever heard about Ardento was in September, or beginning October 2010. At that time I conducted review of some products of PAB, and it was its owner, who told me about „remarkable Polish open baffles”, that were to be presented on, soon to come, AudioShow in Warsaw. I, as well as every other audiophile, have my own sound preferences, that are probably obvious if you read at least some of my review, which doesn't change the fact, that I always do my best to cover each reviewed product as objectively as possible. I've had horn speakers for many years now, but I dreamed about having OB speakers from the moment I visited a friend and heard his giant ones (I mean triple leaf-door big) with single wide-range PHY drivers. It was my dream and it was to stay a dream only, as such huge OBs require a lot of space around them – at least 2 meters from back wall, there must be some space between them and sidewalls, plus the sweet spot should be at least 3-4 m away from them – that means they require large room to perform at their best. Unfortunately I don't have such a room. So when I heard about Ardento being OBs, not too big themselves and performing well in a room of a size of mine (24 sqm) I knew I had to give them a try. Obviously AudioShow is not a place for a critical listening session (of any product), but you get at least an idea about sonic characteristic of particular product, which lets you decide whether to get a serious audition or not. So I waited anxiously for AudioShow, also because I knew that Ardento would be presented in two rooms, in two different systems which would give me a better idea about how they sounded. I think that model called Zendo was presented during the Show – a large woofer with paper diaphragm and a nice wide-ranger delivering the rest of frequency range. Manufacturer drove them with a Sophia Electric 300B SET – my favorite kind of amplifier. The acoustics of the room was as poor as it always is in the Sobieski Hotel, but despite that I kept coming back to this room many times, as I truly enjoyed the sound of this system. And I don't mean that it was some perfect sound, or the best sound of the Show – not necessarily, but it was „my” sound, with fantastic midrange, impressive (non-bass-reflex) bass, so I didn't care about lack of upper treble. 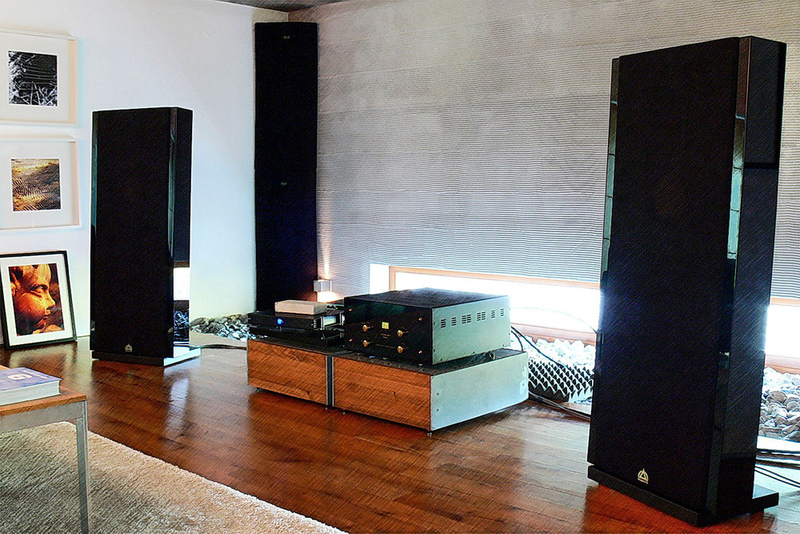 This was in fact a debut of Ardento at the very beginning of their activity, so it took a long time before we agreed with the owner and designer, Mr Tomasz Flanc, a loan of his speakers for a review. Before that one of my friends bought early version of Alter, and in this way I witnessed an evolution of this model, and my friend's search for a perfect amplifier to drive these speakers. The most obvious difference between Alter speakers and Zendo is an additional driver – a ribbon tweeter, also wide-range driver is different, obviously also crossover had to change, and the size and look of open baffle. The aforementioned evolution of reviewed model was mostly a search for the best wide-range driver for this particular project (not necessarily the best ever made), also this driver was installed in replaceable panel, so it was easy to swap whole panel with one driver for another one. After extensive trials Mr Tomasz decided that the best choice was a driver from Hungarian company Sonido, that you might already be familiar with, if you read my review of BodnarAudio horn speakers (read HERE). It is not exactly the same model of driver, but already than I mentioned that these unknown (at the time) Hungarian drivers might be a serious alternative for much more famous brands like Fostex, and maybe even Lowther. On the other hand Michal's (that's the friend, owner of Alter, I mentioned before) long search for a proper amplification was in fact quite a turn-around of the initial idea – he had one of the best 300B SETs I know – AirTight ATM-300, and he was looking for speakers that would offer full range sound with it. Ardento Alter were supposed to be such speakers but it turned out that they were a bit too difficult load for this amplifier. Yes, there was amazing midrange, sweet, open treble, but obviously driving 15'' woofer to its full potential was too much to ask of the Japanese amp. During his search (that I partially witnessed) he found out that the „proper” output power should be at least at 20W, regardless if it was a tube or solid-state amp. He tried many amplifiers and finally found a one (actually two) that ended the search – these were monoblocks with GM70 power tubes. Long story short – a search for perfect speakers for a great 300B SET ended with finding great speakers and replacing amplifier witm more powerful one. Bottom line – keep your mind open – sometimes we focus so much on finding a better amp/source/speakers/cables for our system that we don't even consider changing some other element of the setup, which sometimes might be what we really need. Cassandra Wilson, New moon daughter, Blue Note; CDP 7243 8 37183 2 0, FLAC. AC/DC, Live, EPIC, E2 90553, LP. Pink Floyd, Wish you were here, EMI Records Japan, TOCP-53808, FLAC. Led Zeppelin, Led Zeppelin, Atlantic/Warner Music, WPCR-11611, FLAC. Etta James, Eddie 'Cleanhead' Vinson, Blues in the Night, Vol.1: The Early Show, Fantasy, B000000XDW, CD/FLAC. Dire Straits, Communique, Vertigo, 800 052-2, FLAC. Rodrigo y Gabriela, 11:11, EMI Music Poland, 5651702, FLAC. Arne Domnerus, Jazz at the Pawnshop, FIM XRCD 012-013, FLAC. Arne Domnerus, Antiphone blues, Proprius, PRCD 7744, FLAC. Renaud Garcia-Fons, Oriental bass, Enja, B000005CD8, FLAC. Keith Jarrett, The Köln Concert, ECM/Universal Music Japan, UCCE-9011, FLAC. As I mentioned it took me quite a long time to get Alters for a review, and I think there were two main reasons why I finally succeeded – first of all it seemed that he, as a designer, was finally happy with the result he achieved and started to treat it as final version, secondly he and I were both fans of 300B SETs and that worked to my advantage. In fact Mr Tomasz story (as a designer) started, as in many cases of audio designers, when he couldn't find a product on a market that would satisfy his needs, and he needed speakers that would sound good enough with his tube amplifier. As a resourceful guy he decided to give it a try and build a pair for himself. Obviously it took him years to get where he's now with his top model Alter, but when he finally got some results he was happy with, he decided to share them with other audio enthusiasts. Because let's make it clear – especially early Ardento models were created for people with certain sound preferences – to those who value most this wonderful, dense, smooth midrange, and were ready for some sacrifices in both frequency range extremes areas. Most people I talked to during/after AudioShow 2010 told me they really enjoyed the sound in Ardento room, but at the same time most of them complained a bit about treble extension. My guess it Mr Tomasz heard a lot of these comments and decided to do something about it, so maybe that's the reason of creating Alters? This new model sports additionally, as I already mentioned, a very good Fountek ribbon tweeter, thus offering a truly full-range sound. But let's start from the very beginning. The speakers were brought to my place in two solid, wooden crates that were cleverly designed to protect speakers from damage or any scratches (especially considering black, glossy finish) during transport. For the Customer it's a first sign that company treats its job, and its customers, very seriously taking care of all details including proper packaging. 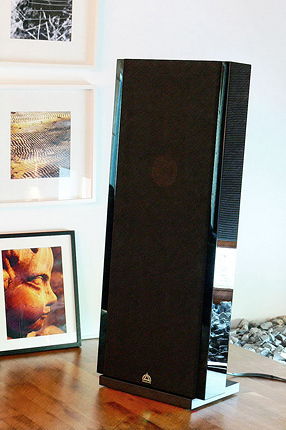 Speakers themselves are made up of two main parts – a solid base, that rests on four feet, holding crossover inside it, and the baffle with drivers installed in it and a MDF frame around it. The baffle is slightly tilted towards the back. There are two black grills for both, front and back side of the speaker. In my eyes it looks really good, nicely finished – these should look good in every living-room they might land in. Taking their price into consideration it shouldn't be surprising but on the other hands I've seen some even more expensive products looking much worse. After removing a front grill I found the front of the baffle also beautifully finished, with black, but this time mat color, and all drivers solidly bolted to the baffle. I have to confess – the look of 15'' paper cone, a wide-ranger and a ribbon tweeter in non-bass-reflex cabinet was like a dream came true. Taking the back grill off allows you to take a look at the back of all drivers plus it gives you an access to bass, midrange and treble adjustments. The two latter are simply pots giving you control over volume of mid and upper range. To adjust volume of bass you need to replace, or take out a capacitor mounted in a socket next to speaker bindings. Mr Tomasz always brings speakers to new owners and helps them adjust especially the volume of bass to the particular room, and of course to the personal preferences of a new user. Usually it is done once – so just chose one of two capacitors, or leave the socket empty. With „regular” speakers all you can do about exaggerated bass is to fiddle with speakers placement (sure you can deal with room's acoustics but if that's your living room you don't want to do that, do you?). Here, it is quite simple – too much bass, replace a cap. As the operation is so simple (socket – no soldering) if the you change the room later or you preferences change you can play with caps again. Adjusting volume of midrange and treble is even simpler with pots so if you really want to, you could adjust both even for every single album you play. So my first impressions were remarkably good – great look, user-friendly, no bass-reflex (I know, I know – but that's my „thing”), simple solutions allowing to adjust sound to particular room and preferences, high sensitivity (93dB), impressive frequency range (35Hz-40kHz) – from my point of view, all pros and no real cons. Well, maybe there was one thing that bothered me a bit (considering that I was hoping I could drive these beauties with 300B SET) – 4Ω impedance. 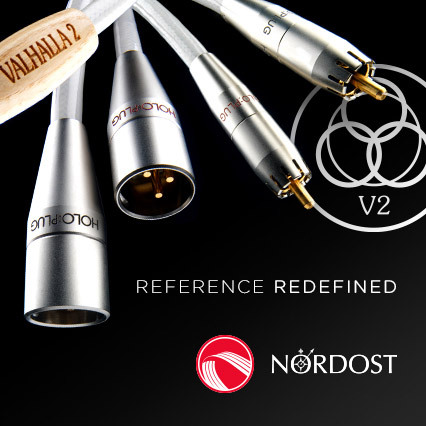 But on the other hand Mr Tomasz told me that it was somehow special version as he left the wide-range drivers uncut, which was supposed to make them even easier load for an amplifier. So I started the first listening session with my modified (Tom Willis replaced output transformers with the ones from Diavolo) ArtAudio Symphony II and... what I heard reminded my listening experience from sessions at Michal's – amazing midrange, colorful and smooth, crisp, sparkling treble, but no real power at the bottom one would expect from 15'' woofer. So even though I loved voices of Kari Bremnes, or Patricia Barber, the sound of small bells and some other percussion instruments were amazingly vibrant, vivid, but my favorite double-bass didn't have that power, didn't go as deep as it could, so I was a bit disappointed. So I switched to my other amplifier – solid-state Modwright KWA100SE with LS100 tube preamplifier. This set offers a really good performance with outstanding (for a solid-state) midrange. I had to be a bit careful because, as I mentioned before, the wide-range driver wasn't cut off, so it might have been in danger if I suddenly decided to use full power of my amp. OK, there was no real danger, as I had neighbors I needed to think about and thus kept volume at reasonable levels anyway. What this system offered with Ardento simply chained me to my couch for many hours. In fact for the next couple of days I spent as much time as I could spare looking for more and more music just to check how it would sound on Alters. Well, obviously I have a thing for a 15'' paper cones – not so long ago I was almost equally impressed with Bastanis Matterhorn, which in fact I bought after the test for myself, as I couldn't let them go. Those were horn speakers, now I had an open baffle, but they had some things in common, important things for me – no bass-reflex, 15'' paper-cone woofer that delivered powerful, rich, heavy bass, high sensitivity, amazing midrange and also damn good, sparkling treble. Mr Tomasz (designer) told me that it was a wide-range driver that the whole speaker was built around. The woofer and ribbon tweeter were there to support it at frequency extremes, where wide-range driver didn't do so well as in the midrange, upper bass and lower treble. And when listening to Alters I could fully agree with that. These speakers delivered remarkable midrange – smooth, rich, colorful – that sound reminded me the best single driver (usually horn) speakers. That's what made vocals and acoustic instrument sound so well. The common disadvantage of single-driver solutions are rolled off treble and bass but it's not a case here! One might be a bit concerned about how the combination of very clean, transparent, detailed sounding ribbon tweeter might co-sound with kind of „soft” sound of a wide-range driver. One might think that in contrast to the „softness” of midrange, treble might sound bright and harsh. And the other way around – such a transparent, clear sounding, sparkling treble might make midrange sound dull, fuzzy, slow, not transparent. But there is nothing to worry about here – there is a great balance between treble and midrange, plus it can be adjusted (using the controls on the back of the speakers) so that it might fit one's preferences perfectly. And last but not least there is THE BASS. I do realize that there are some bass-reflex designs that sound good, even very good, but it's the minority among all manufactured nowadays. So I will keep claiming that bass-reflex solution is not a good one, it was created because manufacturers wanted to supply people with smaller, narrow-front speakers, that would better fit small rooms. 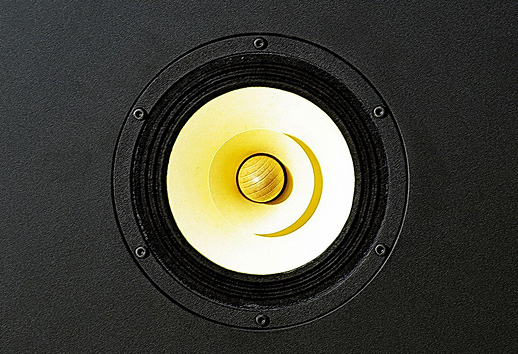 Nowadays most speakers are made this way and what's worse most people think that it's how speakers should sound, and when there is no boomy bass from b-r port they don't like the sound. For me it is this boomy sound coming from b-r port that takes a big part of enjoyment of listening to the music, away. OK, I'm old-fashioned but for me a large, paper-cone woofer, at least 15'' in diameter, is the only way to reproduce natural sounding bass. That's why I loved so much Bastanis Matterhorns, and that's why now I loved Ardento Alter even more. It is also about the size of the diaphragm – 15'' can move a lot of air creating a lot of pressure and allowing listener to feel the bass, especially comparing to saller drivers even if they come in pairs. The large cone, like the one used in Ardento, delivers powerful, mighty even, well differentiated, tuneful bass, which is kind of a foundation, base for the rest of the frequency range.